Modern Malware threats are evolving all the time but taking the following steps will make it much harder for hackers to gain control of your data. Most of the time cyber criminals are looking to take advantage of silly mistakes that people are make every day. Stay vigilant and 99% of the time you’ll stay safe. Even when downloading from the Google Play Store you need to be careful. Check the permissions the app asks for. Often, apps that include malware will ask for a lot of permissions so that they can quickly gain control of all of your phone’s data. As well as checking permissions, before downloading, you should pay close attention to the app’s user rating and any reviews it might have. – You should do this even if you’re downloading well known apps to keep yourself protected against downloading fake or dummy apps. – Open your Android device’s Google Play Store app Google Play. – Tap Menu Menu and then Play Protect. – Turn Scan device for security threats on. – Using a cloud based back up service like Google Drive. – On a portable hard disk like a USB pen drive. If you can, back up using 2 of the methods outlined above. 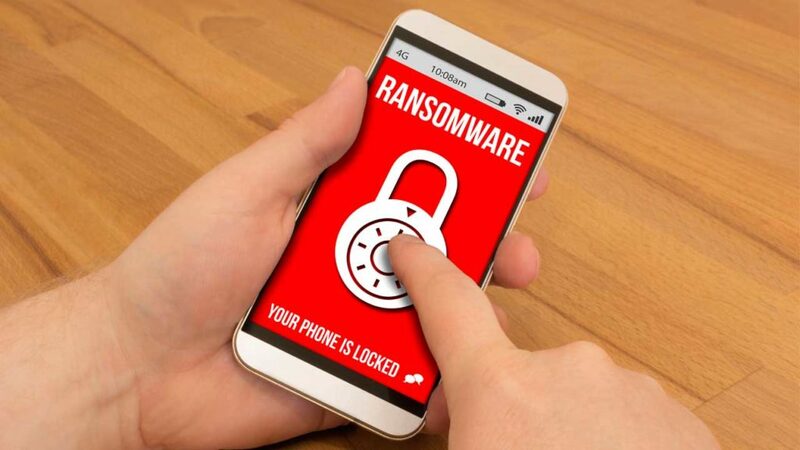 If you keep all of these things in mind you’ll keep yourself protected from most of the types of ransomware that are targeting Android mobile phones.